Tredethick Farm Cottages are situated on the edge of the Fowey Valley, a mile from the riverside town of Lostwithiel in Cornwall. 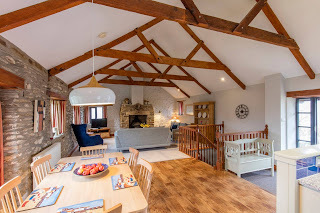 It’s the perfect place for families with young children, with plenty of facilities to keep the kids entertained, and plenty of facilities for you to relax too. 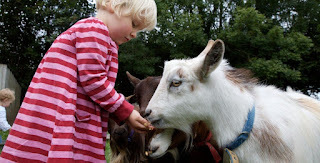 Offering self catering accommodation with plenty on offer, animals to feed, ponies to ride, places to play, a pool to discover, new places and new friends to see and make, all in beautiful, secluded, Cornish countryside. The owners want the cottages to feel like your home for the holiday; so all are comfortable, well equipped, welcoming, warm and clean. Families can make the most of the heated pool which is kept at a very pleasant 30 degrees, or can enjoy feeding the wide variety of animals. Children can also have boundless fun in the soft play facility and any budding riders can ride the beautiful ponies just after animal feeding every Monday and Wednesday. Consider the idea of somewhere so right for you all that you find yourself coming back year after year.